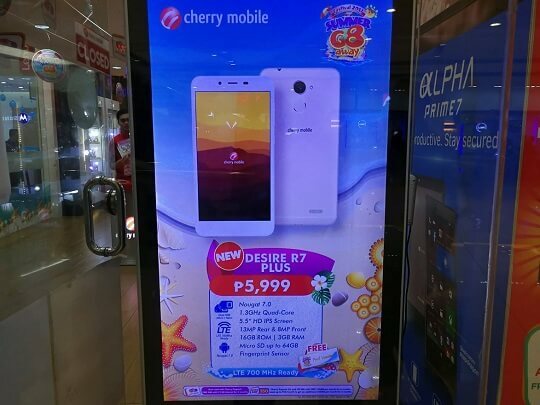 Along with the R7 and R8, Cherry Mobile is also set to release the third device under the Desire series, the R7 Plus. The Cherry Mobile Desire R7 Plus packed a 5.5-inch IPS HD display powered by 1.3GHz quad core processor paired with 3GB of RAM, 16GB of expandable storage, and runs on Android Nougat. This handset supports two SIM cards - a Nano and a Micro, with LTE connectivity including the popular 700MHz band. Other specs include 13MP main shooter with LED flash, an 8MP front snapper, and a rear-mounted fingerprint sensor. Basically, the R7 Plus is almost identical with its R7 sibling, the main and the only difference we know so far is the amount of RAM, 3GB versus 2GB. Hopefully, it has more upgraded internals, such as battery, otherwise the Php1,000 price difference (Php5,999 versus Php4,999) seems to be a bit expensive.